GolfWRX Giveaway! 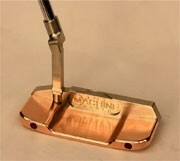 Custom $2,000+ Damascus Steel MACHINE Putter! New MACHINE M11 Putter Prototypes! Just back from the PGA show in Las Vegas we have these beautiful MACHINE M11 Prototypes #2 & #3 showing off our High Contrast Combos. JUST IN: The newest Limited Edition MACHINE ART headcovers! There are two color options; Red, Blue and Yellow -or- Orange, Purple and Green. All the headcovers feature a magnet closure. The price for the ART Series of Headcovers is $100.00 Per Headcover. MACHINE M9 in Stainless Steel Damascus! MACHINE M9 in Stainless Steel Damascus with No. 9 Flange, 303 Stainless Steel Full Offset Gooseneck Hosel and Mokume Gane Logo Medallion! Just in time for Fathers Day! We just received these Custom, Limited Edition, Made in USA Tour Model MACHINE Covers with Magnetic closure. They are available in Navy Blue or White with Red and White embroidery. Available in Blade or Mallet size (as shown). Have a Happy Father’s Day! Fathers Day Contest! 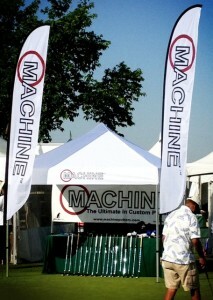 Send your best MACHINE putter photos on the golf course!